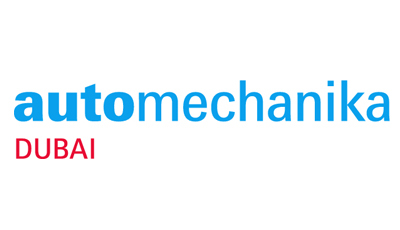 Automechanika Dubai 2017 motor parts show was held from May 7-9th at the Dubai International Convention and Exhibition Centre. The event which lasted three days was attended by both, local and global companies that were present from around the world. The event is the largest of its kind in the Middle East region and the companies aimed to showcase their might in the hope of getting a piggyback ride in the Dubai’s development stride. It has been proposed that the automotive parts sector will register a growth of 4.9% by 2021 with a valuation increase of up to $14.8 billion. The 15th iteration of the motor show had the participation of around 1,954 exhibitors coming from different parts of the world. The event included 25 country pavilions, and 36 pavilions were of various international trade organizations with around 50% of the 30,000 plus visitors foreign nationals. India’s automotive industry exports to over 160 countries around the world and the revenue from the sector is expected to become $70-80 billion by the year 2026. The auto parts industry registered a CAGR of 14% for the 2006-16 period, with a revenue of $10.81 billion from $3.2 billion earlier. The auto parts industry has a stake of 4 percent in India’s Gross Domestic Product (GDP), and it employs around 1.5 million people. By the year 2020, Dubai cars industry will have around 1.8 million commercial vehicles and about 44.5 million passengers. Naturally, the increased car numbers imply the need of increased auto parts production that Indian manufacturers hope to target. UAE and India have been trading partners for a long time as suggested by India being UAE’s primary business partner accounting for around 9.8 percent of total non-oil trade. UAE exports to India about 14.9 percent of its total goods as well as 8.7 percent of re-exports, making India the largest importer of UAE. On the other hand, UAE exports significantly from India, as India’s exports account for 9.2 percent of all the imports UAE receives, thus, pushing India to the position of the third largest exporter to UAE. The motor show allowed the India’s auto parts manufacturing industries to let the world know of its capabilities in the auto components sector. The Brand India Engineering campaign which is being undertaken by the Department of Commerce has been instrumental in improving and increasing global awareness regarding Indian services and engineering products. India’s global competitiveness and reach is a result of favorable government policies combined with geographical proximity to important automotive markets. India has become a cost efficient manufacturing hub and has emerged as the preferred global source base to look for high-quality auto components. The industry has been growing at a steady pace and this participation in the Automechanika Dubai 2017 points to its future goals. This post is written by Akshay who works for AutopodArabia.com.